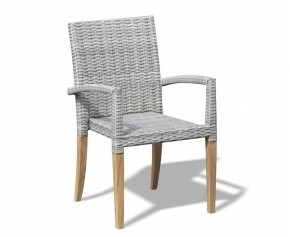 St Tropez furniture is durable and simple, meaning it is ideal for both outdoor and indoor spaces. However, the St Tropez range also has an element of simple luxury to it which means that it is easily incorporated into the most stylish rooms and gardens. Much of the range has space-saving elements to it, making it perfect for smaller homes and more minimal room layouts.